A diminutive singer with a powerful voice and an even stronger attitude, Ann Peebles was one of the artists who defined Willie Mitchell’s legendary Memphis soul label Hi Records, along with Al Green and, later, O.V. Wright. Easily the best female singer in the Hi stable, Peebles ranked among the finest deep Southern soul singers of the decade, notching an instant classic with her 1973 hit “I Can’t Stand the Rain.” She co-wrote a generous share of her own material with husband Don Bryant, and while she cut plenty of love and heartbreak tunes, her persona was built on the grit and resilient strength she displayed on songs like “I’m Gonna Tear Your Playhouse Down.” Peebles wasn’t always as appreciated on the charts as her work often merited, especially among pop listeners, but her best recordings hold up among the best of their era. Peebles was born April 27, 1947, in East St. Louis, Missouri. Her father was a minister and her mother a singer, and naturally Peebles began singing at a young age in her father’s church choir. She also sang with the family group, the Peebles Choir, which had been touring the gospel circuit since Peebles’ grandfather founded it a generation earlier. As a teenager, she sang secular music on the St. Louis club circuit, supported and accompanied by her father. There she met blues bandleader Oliver Sain, a local legend, and eventually joined his revue. Peeblescaught her big break in 1968 on a trip to Memphis, where she asked to sit in on a club set by trumpeter Gene “Bowlegs” Miller. Miller was already signed to Hi Records at the time, and duly impressed with Peebles’ voice, he brought her to Hi house producer Willie Mitchell for a tryout. 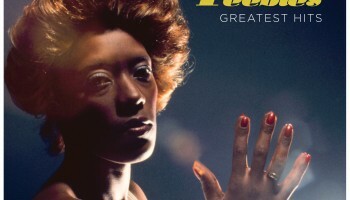 Mitchell, who was still in the process of shifting the label from country to R&B (and had not yet discovered Al Green), immediately offered Peebles a contract; she was still shy of her 21st birthday. Mitchell teamed Peebles with singer and house songwriter Don Bryant, seeking a bit more seasoning in her R&B phrasing. Peebles andBryant soon began writing together (and would also end up dating). In the meantime, Peeblesrecorded her debut single, “Walk Away,” a song written by Sain that just missed the Top 20 on the R&B chart in 1969. The follow-up, “Give Me Some Credit,” was also a minor hit. Both songs were featured on the singer’s debut album, This Is Ann Peebles. 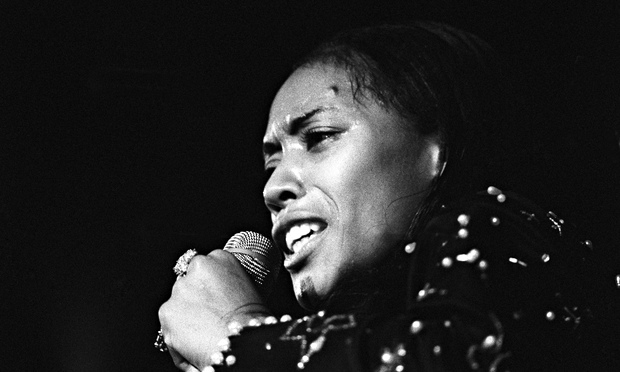 Her fourth single, 1970’s “Part Time Love,” was her first R&B Top Ten. 1972’s Straight from the Heart was her first artistically realized LP, however; it featured several minor R&B hits in “I Pity the Fool,” “Slipped, Tripped and Fell in Love,” “I Feel Like Breaking Up Somebody’s Home” (later covered by Bette Midler), and “Somebody’s on Your Case,” plus the signature album track “99 Lbs.” Her hot streak continued with 1973’s I Can’t Stand the Rain, which many critics still regard as her finest work. “I’m Gonna Tear Your Playhouse Down” was a decent-sized hit, and the brilliant title cut — written by Peebles, Bryant, and disc jockey Bernard Miller — became her biggest hit, peaking at number six R&B and famously becoming a favorite of John Lennon. She also charted with “(You Keep Me) Hangin’ On” and “Do I Need You,” but more importantly, married Bryant in 1974. In the wake of “I Can’t Stand the Rain,” Peebles was a star on the soul circuit, even if she never duplicated its commercial success. “Beware,” “Come to Mama,” and “Dr. Love Power” were all charting singles from 1975’s Tellin’ It, but the rise of disco and the sale of Hi Records in 1977 would conspire againstPeebles’ career momentum. 1977’s If This Is Heaven produced only one single in the title cut, which was more polished than Peebles’ usual fare; none of the singles from 1979’s The Handwriting Is on the Wall cracked the R&B Top 50. With Mitchell and most of the Hi house band gone, Peebles took a hiatus from the music business to concentrate on her family.